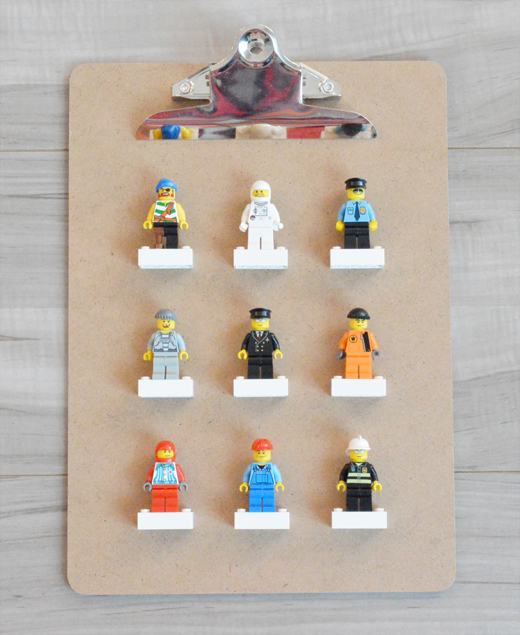 Hello lovelies with Lego loving children, i am starting to feel your pain. 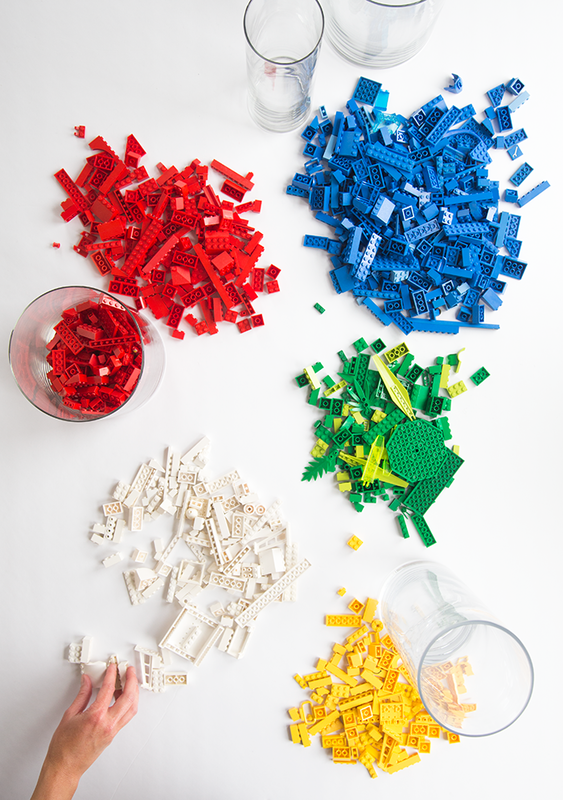 Granted, Lego isn’t huge in our house yet but the little we have is already driving me nuts!! 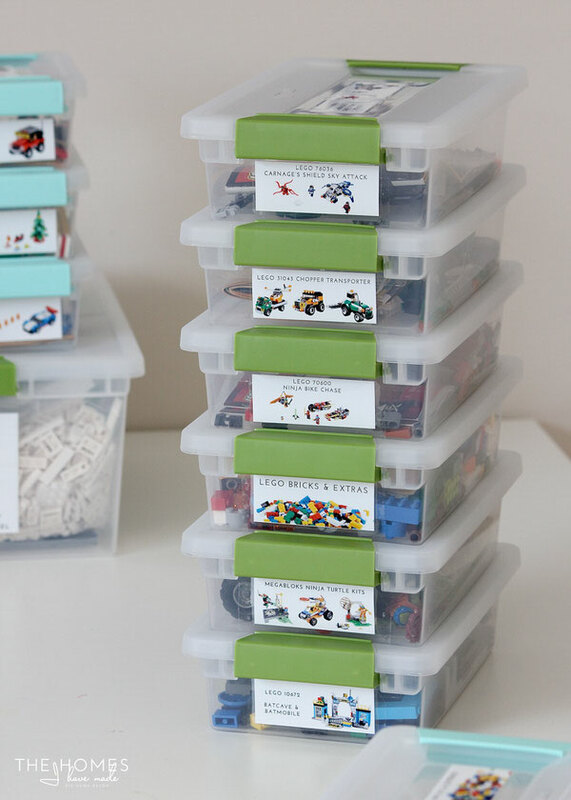 If The Captain had his way, the children would get Lego for every single birthday and Christmas (teens included) – he is obsessed with the stuff! His eyes light up at the sight of a new box of yet-to-be-built Lego and if anyone ever expresses interest in building something, he is so there! 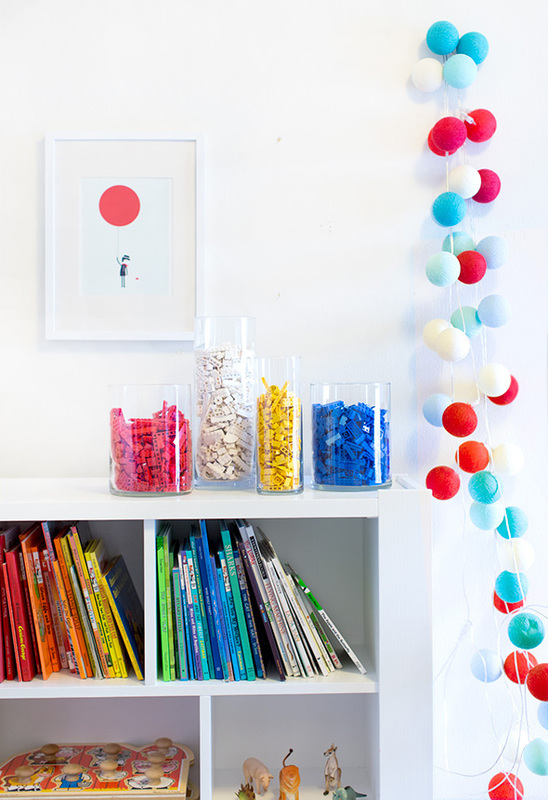 Anyway, i digress, some of you asked for some ideas on how to control the Lego chaos at home…so here are some ideas i found. 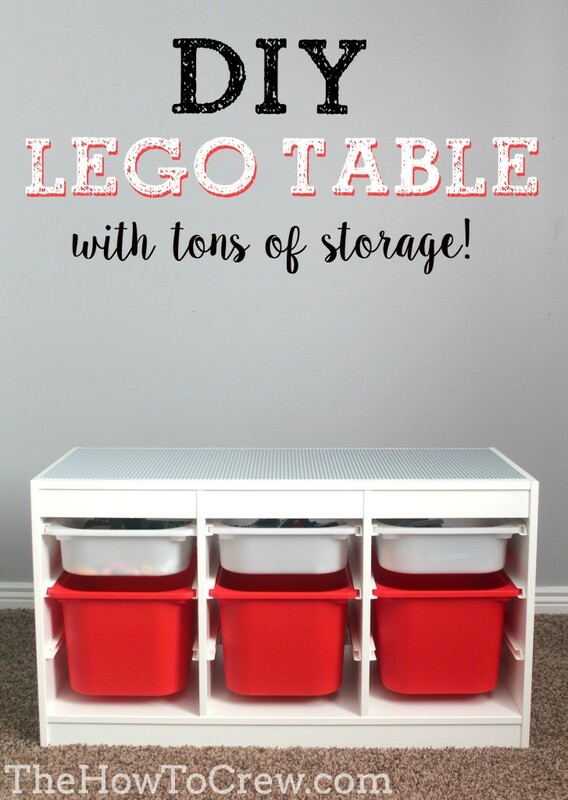 This IKEA staple is called the Trofast but you could easily make it yourself with some plastic tubs from Mambo’s and some runners – the genius of course is the Lego tabletop – hours and hours of fun guaranteed. 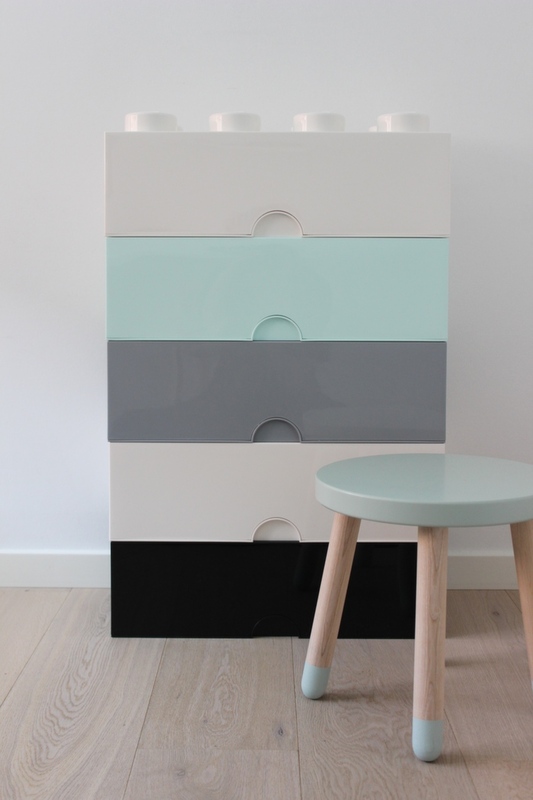 For the Lego loving designophile – a chest of drawers inspired by and devoted to keeping it sorted! And then i would do exactly this – but The Captain said it’s not useful at all for true Legophiles – your thoughts, lovelies? 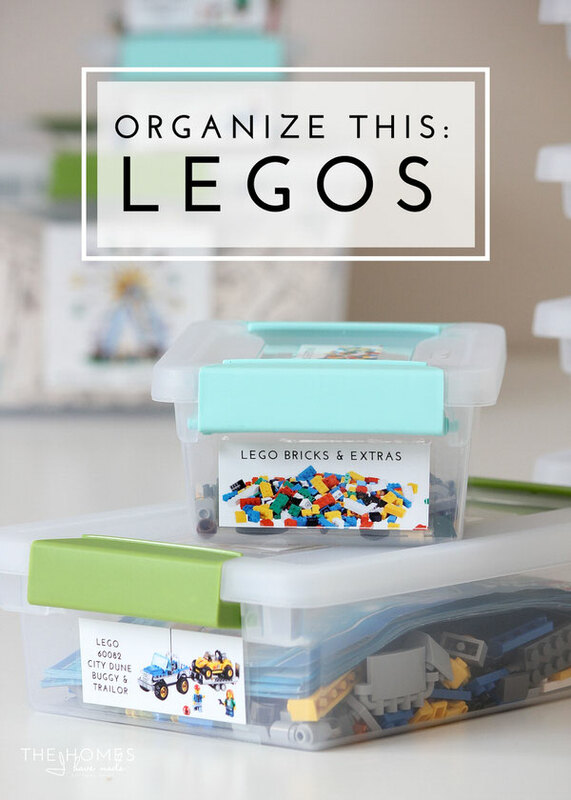 This person seems to be an over achiever on the Lego organising front – but according to The Captain – this is how you should organise Lego – wow! I must confess, i often stand and stare longingly at these amazing tool boxes – you get them at Builder’s Warehouse and i often find myself wishing i was more of a DIY guru who had loads of cool tools to stash neatly. 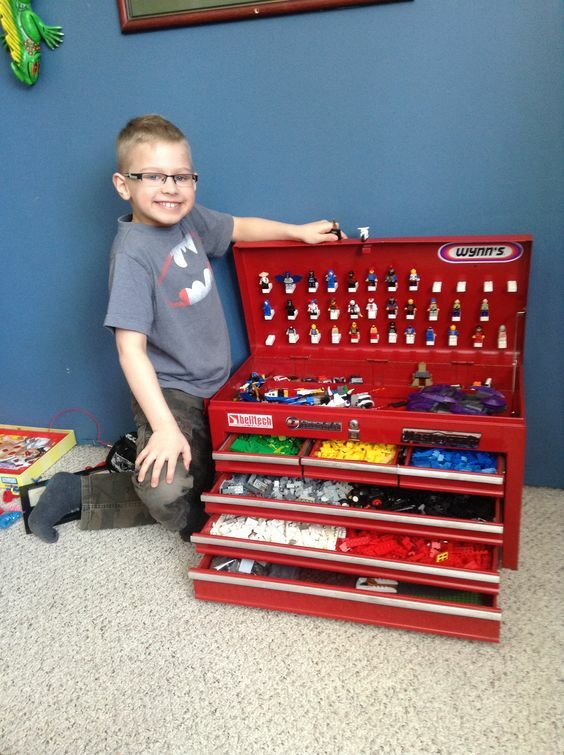 Can you just imagine how happy you would make a Lego lover with a tool box like this? It’s insane! Bless you for these unique ideas!